My favorite cereal was on sale today ya’ll. It’s never on sale and it’s always overpriced, sorta. It’s the Cascadian Farms organic granola with dark chocolate and almonds. Whenever I buy it, I usually eat a box in a day…two days if I’m being “moderate.” I bought two boxes and put them at the top of the cabinet all the way in the back so they can only be reached by chair. I will probably buy two more boxes while they’re still on sale. Jesus Christ they’re so good. Anyway…vegan eating blah blah blah. 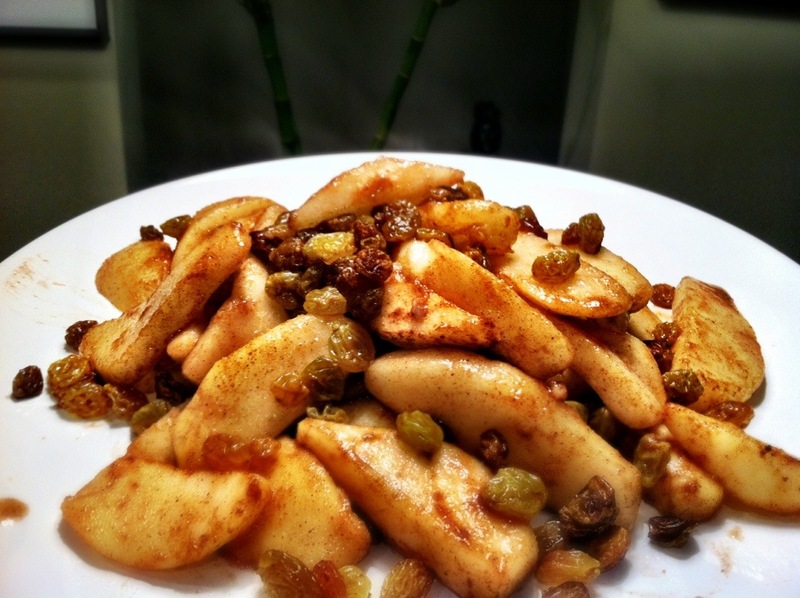 Breakfast: Baked pears and golden raisins with cinnamon. Breakfast was amazing this morning. It was like eating dessert. It was also the perfect amount of carbs to fuel an intense workout session today with our trainer. My poor triceps feel like overcooked noodles; limp and pitiful. 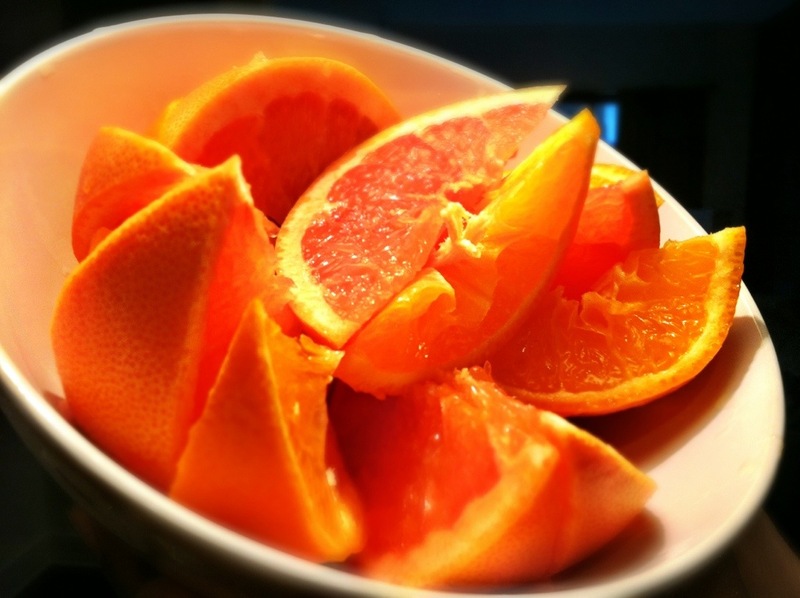 Lunch: grapefruit and Australian oranges, pita stuffed with romaine, avocado, tomato and hummus. Avocado is mayonnaise from heaven without all the bad oils and eggs. Equally yummy but unfortunately rushed…I had to go to work. I ended up not having enough time to pack dinner so I grabbed some raisin coleslaw to take to work to snack on until my girlfriend brought me dinner…which didn’t happen because she had to take my mom to the grocery store. And so I went to the grocery store and bought bananas and natural GMO free peanut butter. I wanted to buy almond butter but that stuff is absurdly overpriced. Guys, they had an almond butter for $21! It’s JUST nuts, pun intended. Needless to say, it stayed there. But the banana and peanut butter held me over until I got to this. 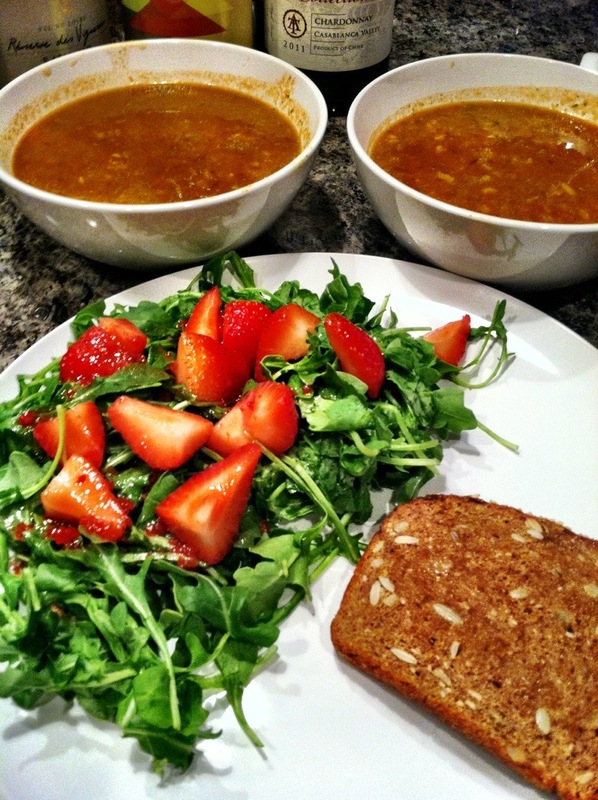 And dinner: arugula and strawberries with red wine vinaigrette, broccoli and red pepper soup and multigrain toast. The diet plan called for 7 grain but they didn’t have that and this bread has flaxseeds, sunflower seeds and several other seeds in it so I just went with it. Tomorrow we start, finish the leftover groceries plan. Once all the groceries are done we will resume the formal Furhman diet plan. For now, it’ll be Rian’s vegan, which is still vegan but my version of it.